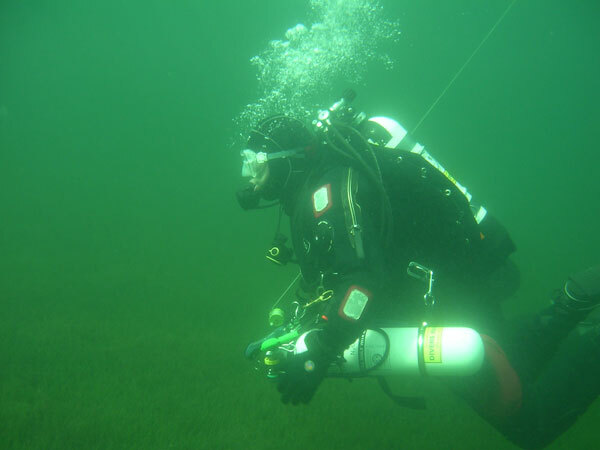 Ok so the Lake District might not be the first place that springs to mind when scuba diving is mentioned, but there are several active dive clubs in the region including West Cumbria BSAC. Wastwater is the main training lake for several clubs in the area and with depths of upto 76 metres can provide quite a challenge. Like most fresh water sites the water gets very cold in winter but Wastewater has fairly good visability. Other dive sites include Crummock Water and Coniston. The Fresh water Diver website has lots of info about clubs and dive sites in the area. Diving can be a dangerous sport and correct training is required before entering the water at any dive site. The eskdale area abounds with pools and tarns, many suitable for a quick dip during the summer months when water temperatures can reach double figures! 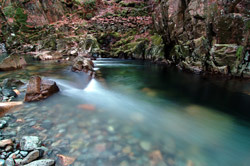 The Esk is generally too shallow for a sustained distance swim, but features many pretty plunge pools. Wastwater, Blea Tarn and Burnmoor Tarn all offer prolonged swimming posibilities. The smaller tarns warm up quicker in summer than Wastwater which rairly rises above 10 degree C. So if you fancy a dip even on the warmest of summer day please be careful, swimming across any section of open water could be dangerous.